Looking back on my time in Costa Rica, I have to say, it was one of the most amazing travel experiences I’ve had. The country is more nature than anything else. It’s raw, organic, and beautiful beyond words. 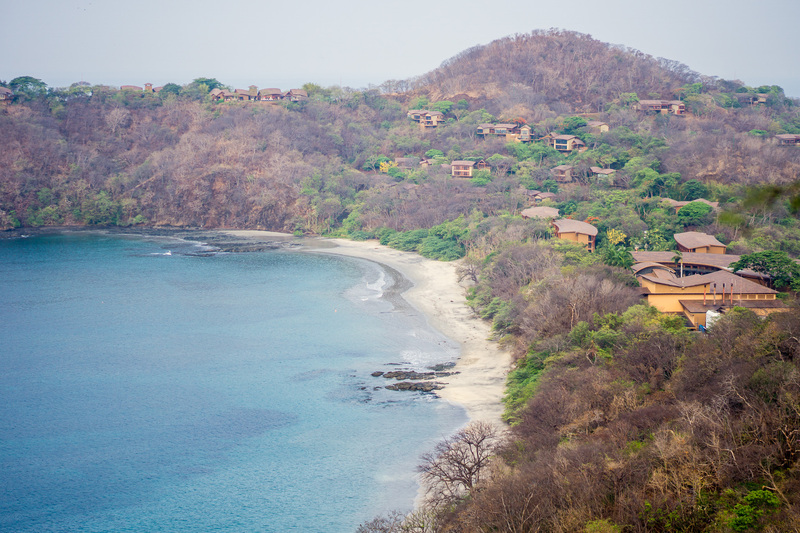 During our first week in Costa Rica, we stayed at the lovely Four Seasons Resort at Peninsula Papagayo, which is located on the north Pacific coast, in the northwest province of Guanacaste. The hotel has 2 beautiful beaches on either side, one facing the sunrise, and one the sunset. In the mornings, from your room, you can hear the Howler monkeys making their morning calls to protect their young. There really is nothing like waking up to the sounds of nature; I felt so close to and so connected with Mother Earth. Four Seasons is such a beautiful place. Whenever Irek and I travel, we always wake up for sunrise, no matter what. I love to get the most out of each day, and experience as much as we can. Its so easy to feel connected and at peace in Costa Rica. The energy is like nothing else! Four Seasons is the perfect place to visit if you’re up for an adventure! The hotel offers paddle boarding, jet skiing, snorkelling, surfing etc. I finally got to paddle board for the first time in a couple years, and it was awesome! Mind you, it was bit rough on the water that day, so it turned into quite an intense workout… but I loved every second! We had some incredible meals at Four Seasons (and some fabulous cocktails as well – specifically the white sangria with passionfruit… so delicious)! Irek, Amy, Carlo and I all felt the vegan food was amazing and enjoyed every single dish we had. I can’t say enough about Costa Rica and our stay at Four Seasons. We had the best time, and the best travel buddies (Amy and Carlo)! This will definitely go down as one of my favourite trips of all time… I would go back to Costa Rica in a heartbeat (and I suggest you do to)! A huge thank you to Four Seasons for hosting us; especially for the amazing service, and the unforgettable memories. Being such a huge nature-lover, I was really in my element and am so grateful for the experience. Copyright © 2017 Piekarski Enterprises. All rights reserved.